Lorde, like many of the most fabulous things on earth, both inspires me to be more awesome in my day-to-day life and also completely terrifies me. She's like the teenage, musical version of Anna Wintour, but if Anna Wintour were also a witch / international pop star. But I digress—my point is that Lorde is all-around, 100 percent cool and yes, so is her hair. It's big, curly, unique and most certainly memorable. So when Lorde rocked pin-straight hair with a side part in a recent Instagram snap it was a little surprising, but also fabulous, just like the singer herself. Lorde always looks stunning in her dark ensembles paired with a matching, signature dark lip, and her outfit worn in the Instagram post was perfectly in tune with the singer's usual style. And, also, may I add, very Taylor Swift in a certain way...maybe the two BFFs have been swapping closets recently? In any case, Lorde looks like a straight-up model in this picture. And while I, personally, hope she stays away from BFF Swift's choice to completely abandon her signature curly hair (seriously, though, how is T-Swift's hair just NEVER naturally curly anymore? I'm so confused) because I love it. 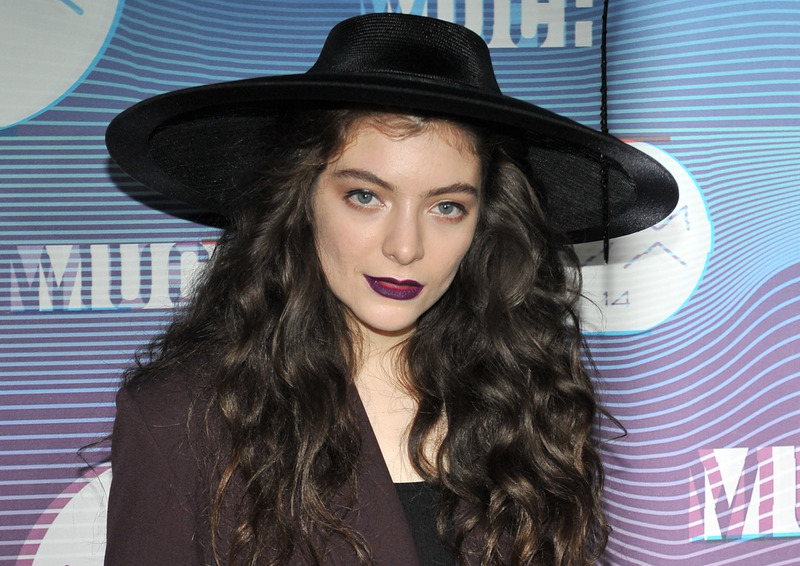 But it's safe to say that Lorde can pull off just about anything these days — including, but not limited to, extremely long, witchy nails, jet-black lipsticks, hats that have wider brims than any you've seen before, straight hair, curly hair, and any combination of the previously listed looks.